1. What DAY was Jesus born? 2. How many Kings came to visit Jesus? 3. How many Wise Men came to visit Jesus? 4. What does “A.D.” stand for? 5. Was Jesus still a baby when He was visited? 6. Have you been GOOD this year according to Jesus? 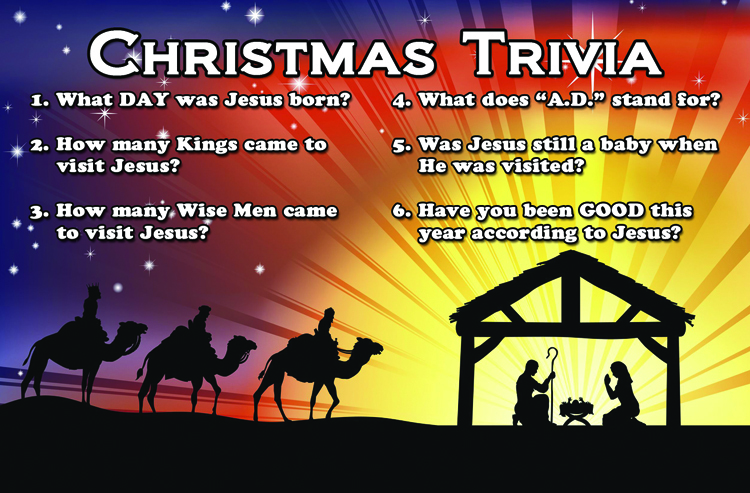 Christmas Trivia Tract- the best Christmas tract! 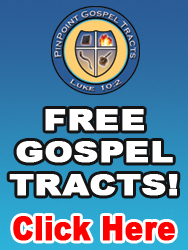 The best Christmas tract I think I've ever read! 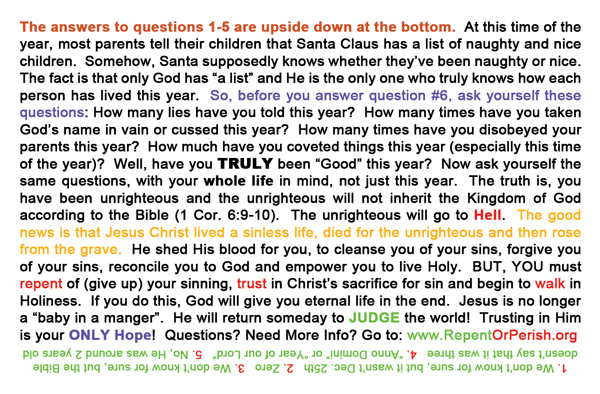 Instead of pretending that Jesus was born on Dec.25th,or 15 pages as to why He wasn't(like most Christmas tracts),this tract gets right to the point- you are a sinner headed for hell, and you need to repent! The trivia on the front makes it fun, and keeps people interested all the way through.The colorful picture on the front really catches people's eye- hardly anyone refuses them. good for adults & children alike. Great witnessing tool to use, especially during CHRISTmas!! !